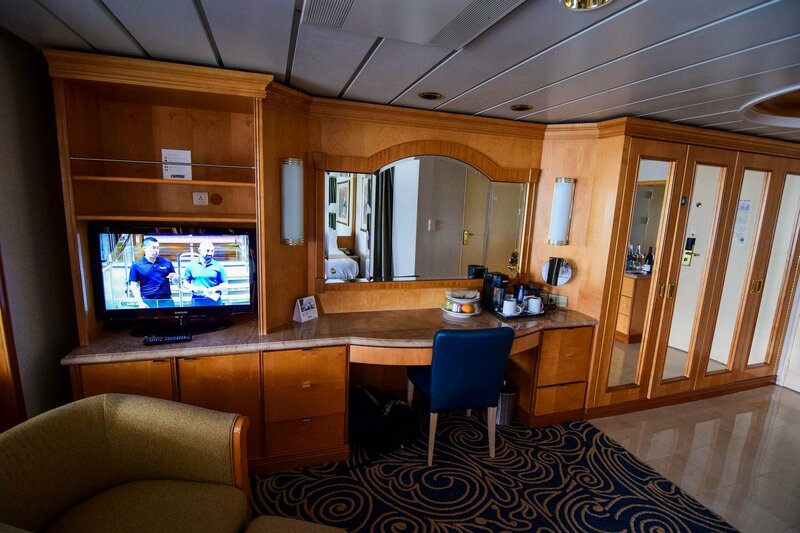 We have a photo tour to share of an Owner's Suite on Royal Caribbean's Rhapsody of the Seas, which will take you through the cabin to provide an idea of what to expect if you book this category stateroom. 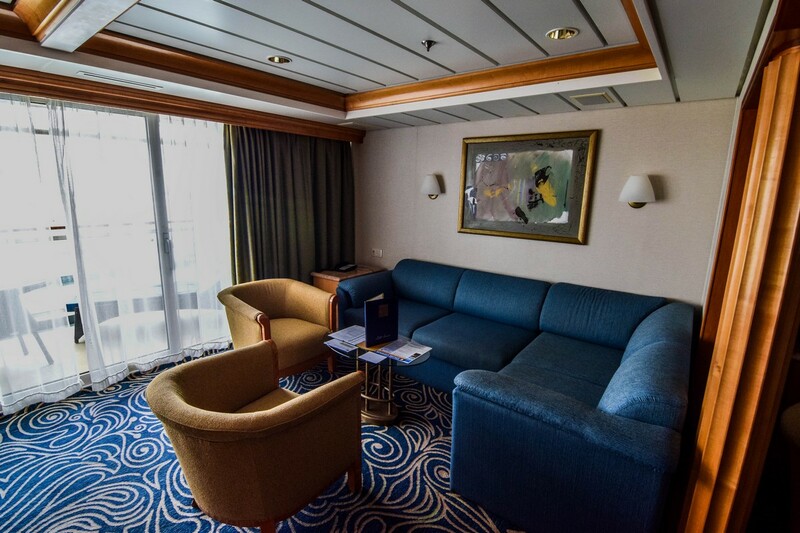 On Rhapsody of the Seas, we reviewed stateroom 8002, which is located on Deck 8 in the forward part of the deck. 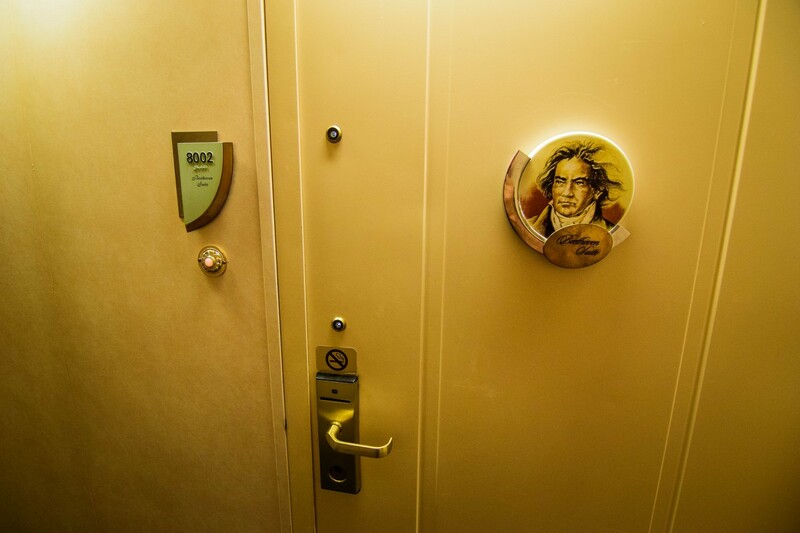 Some of the staterooms on Rhapsody of the Seas have special names, and our stateroom was called, "The Beethoven Suite". Other than the fancy name, there is not really much distinction between this and another Owners Suite. Upon walking in, the first thing you will notice is there is a ton of space. 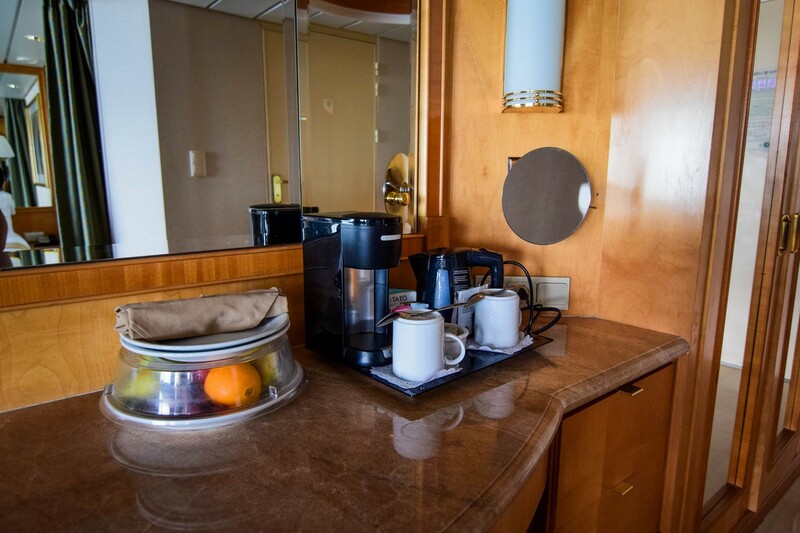 ...in room coffee and tea maker! The primary bed can be completely enclosed by the curtains, providing privacy and does exceedingly well at keeping it dark. The sitting area features another television, tables nad chairs. There is also a large sofa and comfortable chairs that flank another table. The sofa can open up to a bed, which can accomodate two guests easily. 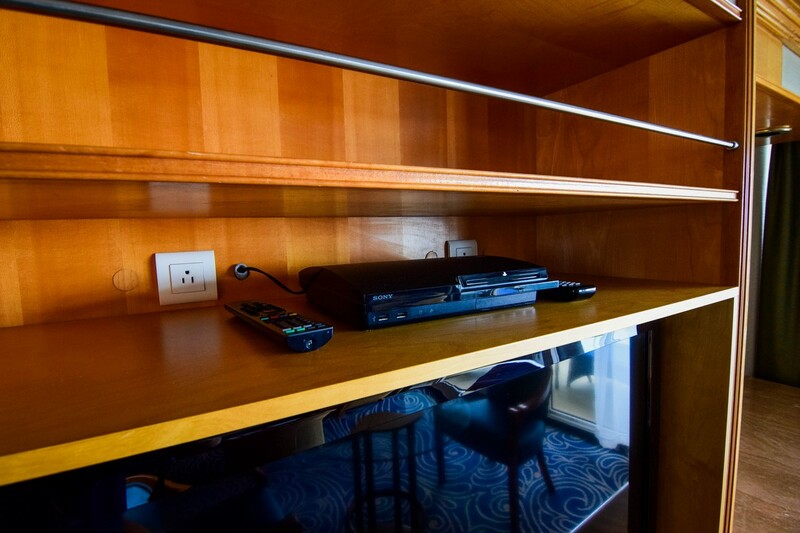 Above the television is a Playstation 3, which is primarily used for playing movies. The Suite Concierege has a collection of DVDs that you can borrow (or you can bring your own). 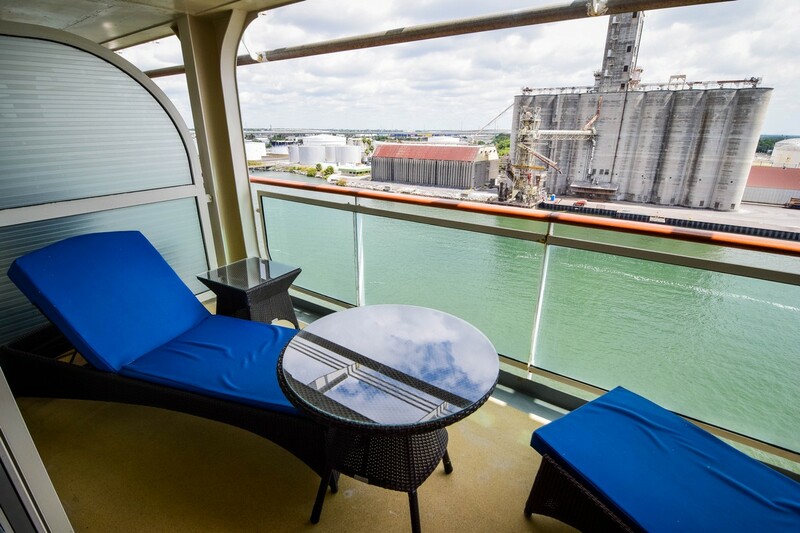 The private balcony measures 104 square feet. This particular room was very close to the bridge, and provided a look at one of the bridge wings. 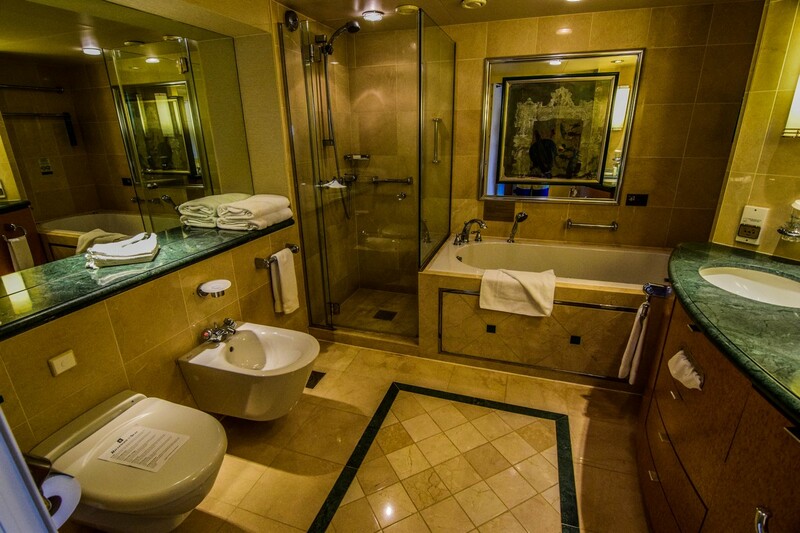 The bathroom is massive, and features a stand-up shower, bathtub, dual sinks, toilet and bidet. 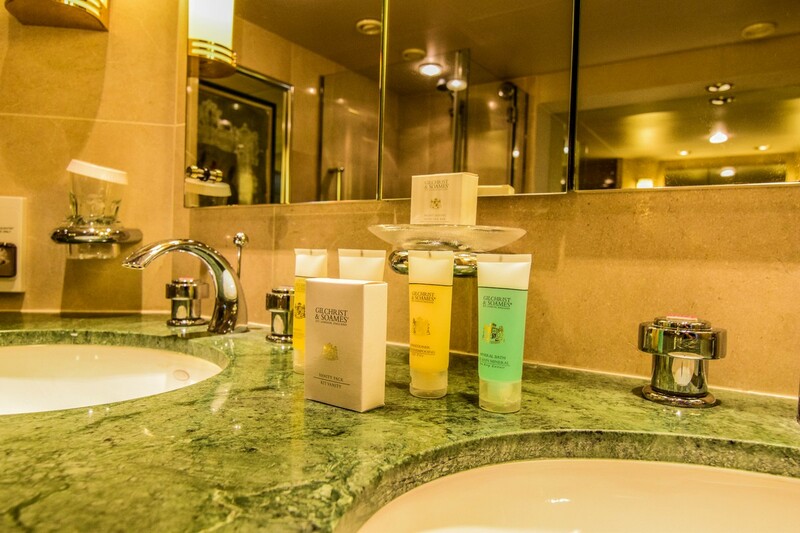 Being in a suite, guests receive upgraded toiletries. 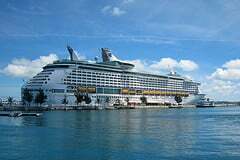 Royal Caribbean's Rhapsody of the Seas is a popular ship that offers cruises in Europe and North America. 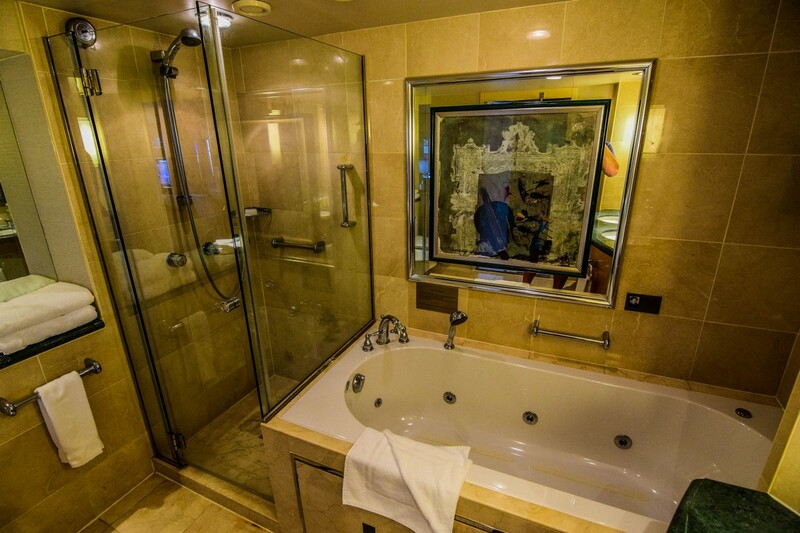 There is a lot to love about this ship, and we have five important facts you should be aware of before your next cruise on Rhapsody of the Seas. 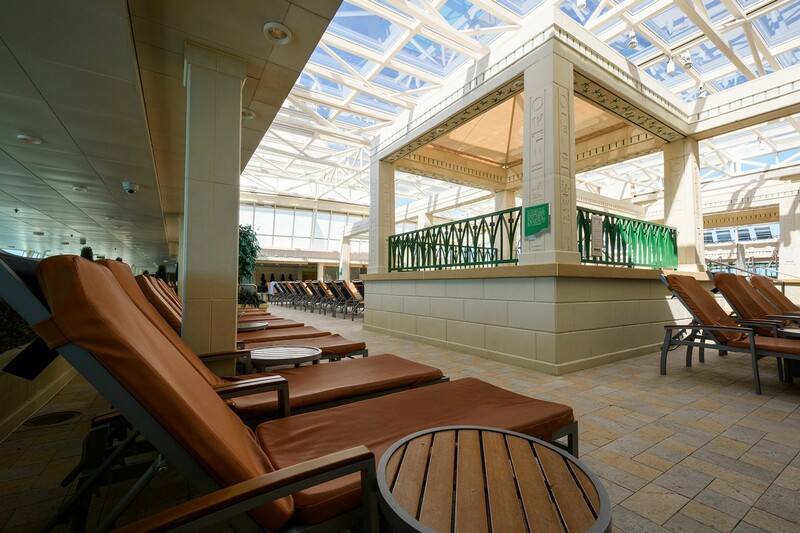 The adults-only enclave of the Solarium is always a popular spot with many Royal Caribbean fans, and the fact it has an enclosed Solarium means the fun is available rain or shine. The Solarium offers a terrific pool, along with comfortable lounge chairs and lots of sun (or shade, if that is your preference). 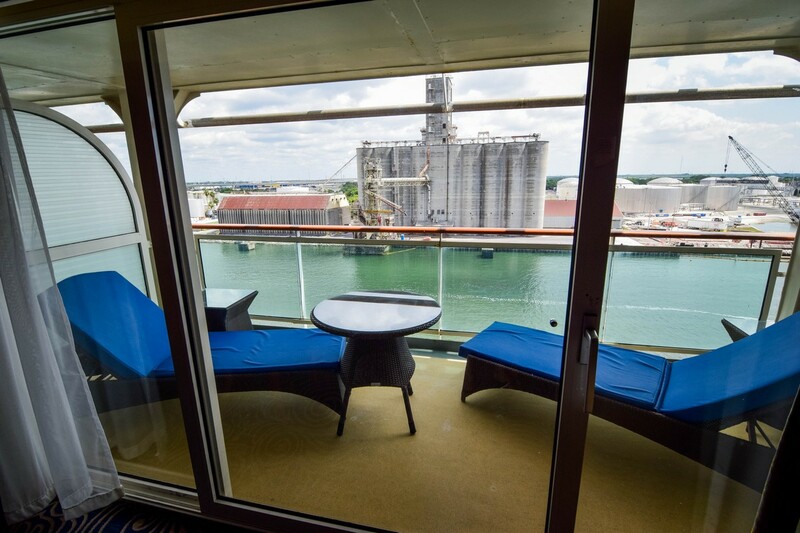 Whether on a sea day, or just a break between activities, the Solarium is the perfect refuge for guests looking to sit back, and relax. 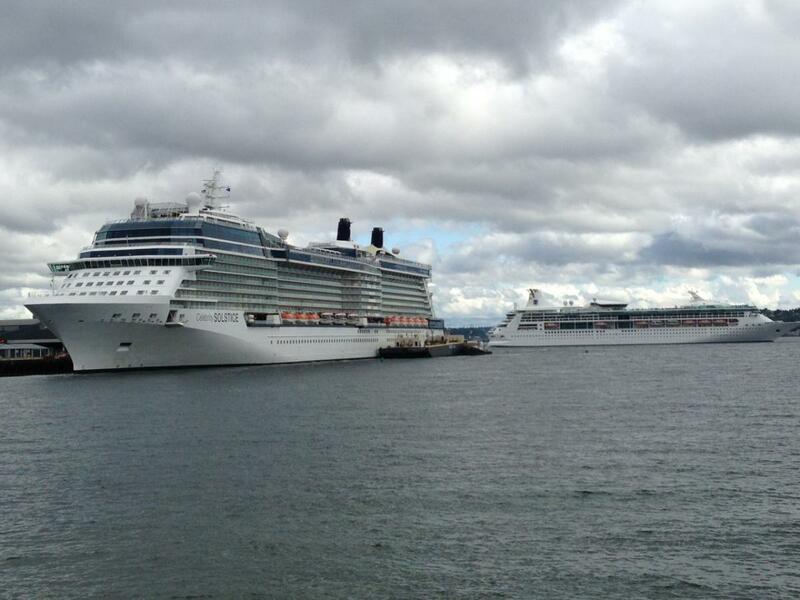 These days, Rhapsody of the Seas splits her time between North America and Europe. 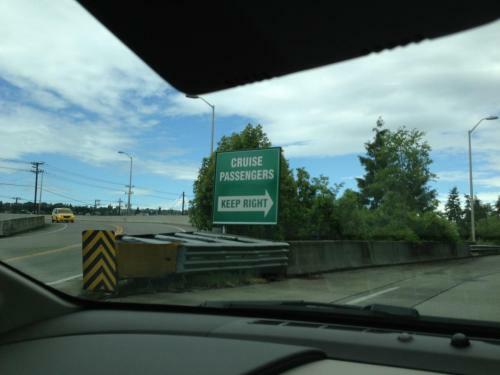 This means that Royal Caribbean fans have the opportunity to take advantage of some great destinations. 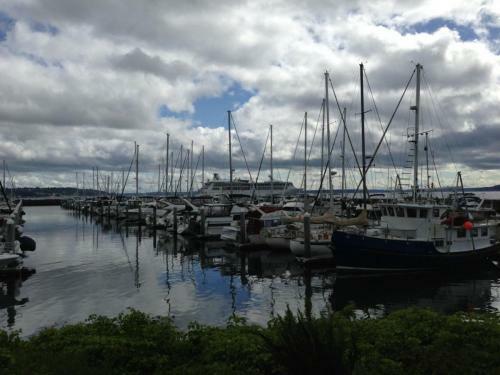 In the fall and winter, Rhapsody calls the Port of Tampa home. 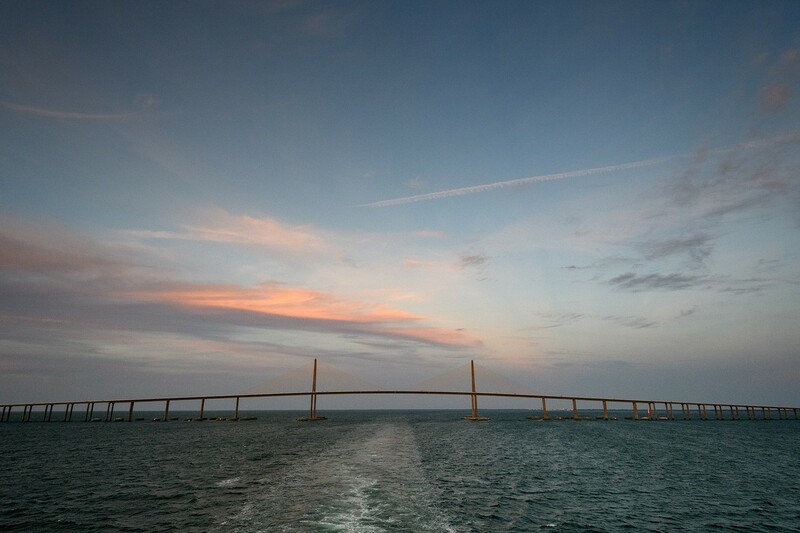 Tampa is a convenient and lovely cruise terminal to sail from, including an amazing sailing underneath the Sunshine Skyway bridge. 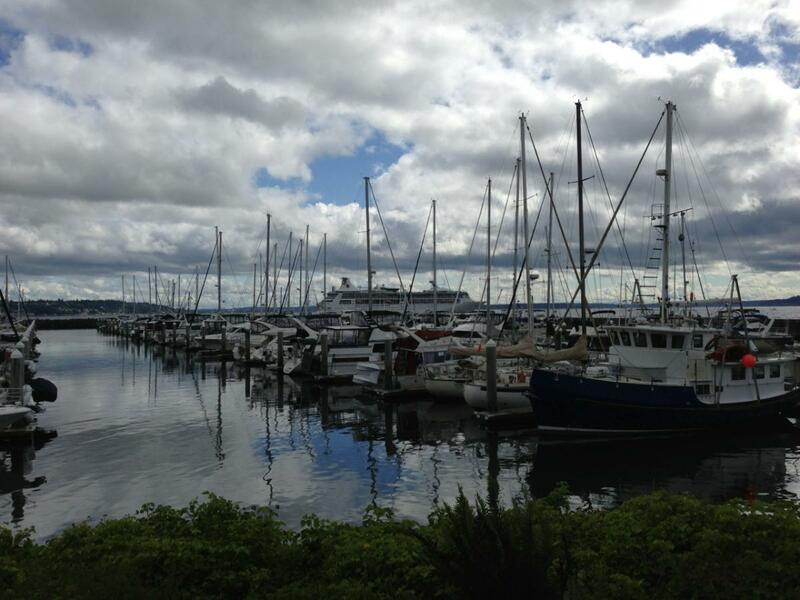 At sea, Rhapsody visits some beautiful ports in Central America, including Costa Maya and Roatan. In the spring and summer, Rhapsody heads to Europe, where she offers a variety of itineraries from Venice. Guests sailing on Rhapsody of the Seas will have the opportunity to visit the historic and beautiful ports of the Eastern Mediterranean, including Dubrovnik, Santorini and the Amalfi Coast. 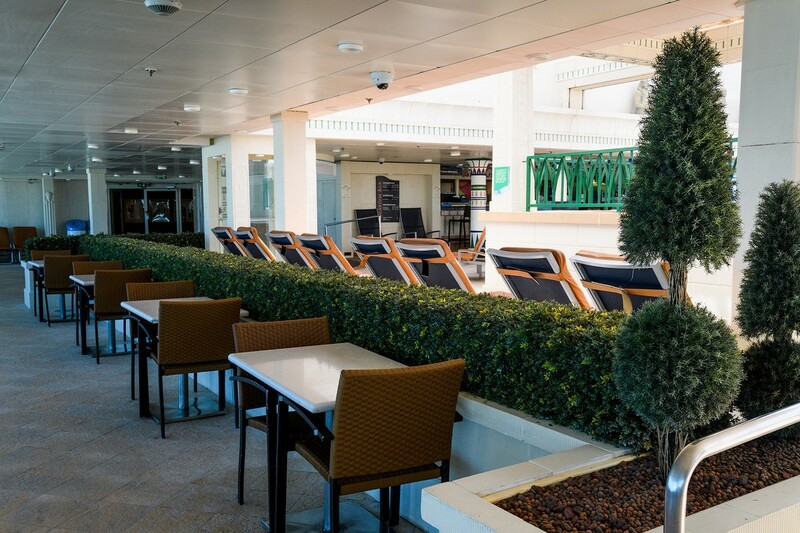 Royal Caribbean added Park Cafe to the cruise ship's Solarium, and that means not only a convenient spot to enjoy a quick meal, but one of the best sandwiches ever: the Kummelweck roast beef sandwich! The Kummelweck sandwich was first offered on Oasis class ships, but Park Cafe has spread to other ships in the fleet since then. Guests are served a rare, thin cut of beef dipped in au jus accompanied by a secret sauce. If it sounds mighty tasty, that is because it really is and something that is a must-try (at least a half dozen times) for any guest. 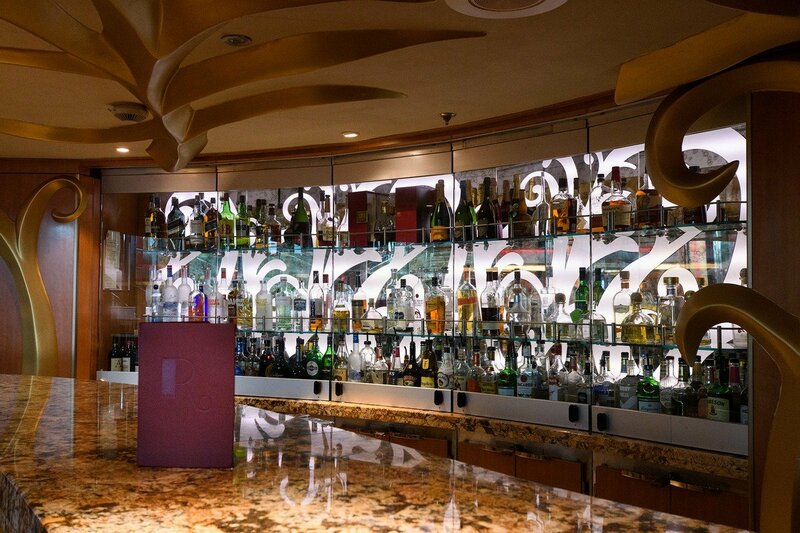 If your idea of a fun cruise is staying up late and enjoying drinks while perhaps dancing, talking or relaxing into the late hours of the evening, then there are a few bars you will find open later than others. 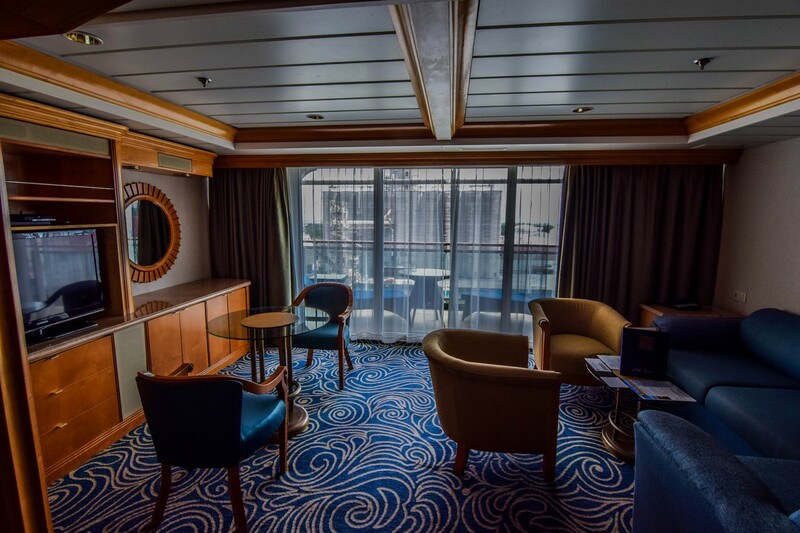 On Rhapsody of the Seas, the Casino Bar, Viking Crown Lounge, R-Bar and Schooner Bar remain open later than other bars. Guests who want to avoid an (earlier) last call notice, should head to one (or a few) of these locations to enjoy uninterrupted late-night beverages. 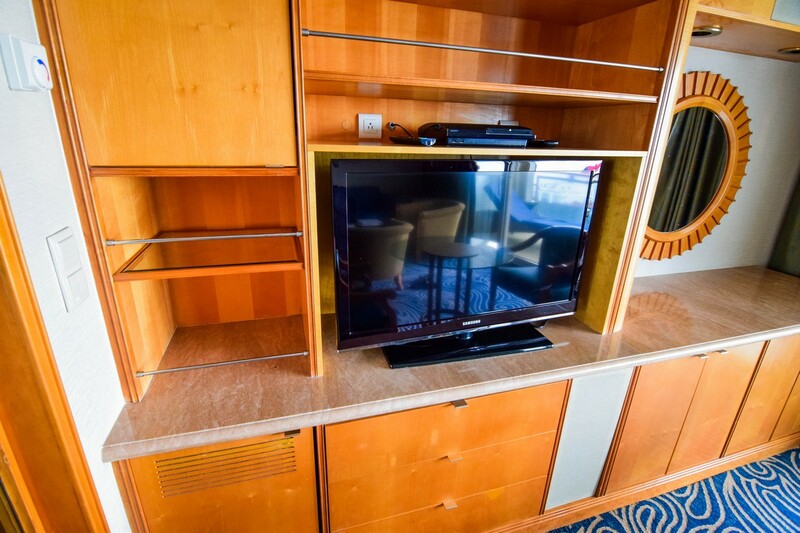 Just because Rhapsody of the Seas is smaller in size than the Oasis or Freedom class ships, does not mean she lacks the variety of specialty dining those ships offer. 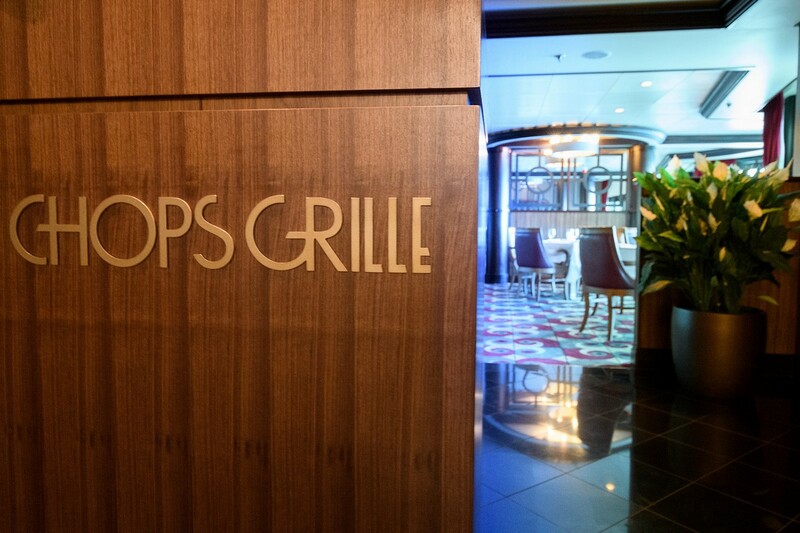 During their cruise on Rhapsody of the Seas, guests can choose from Chops Grille, Giovanni's Table, Izumi and Chef's Table. With Royal Caribbean's dining packages, enjoying some (or all) of these restaurants is very convenient and affordable. 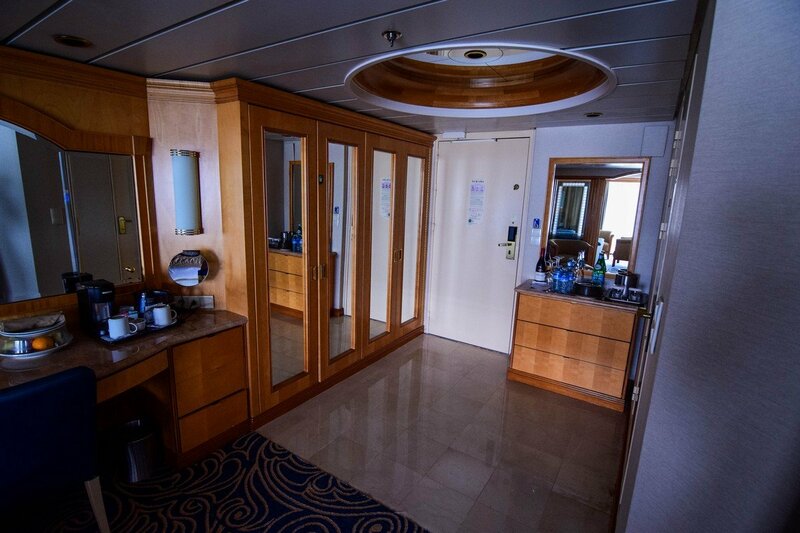 What is your favorite thing about Rhapsody of the Seas? Is it on our list or do you have something you think is worth the cruise fare alone? Tell us about in this blog post's comments! Royal Caribbean announced today it has changed deployment plans for which ship will be based in Cape Liberty, New Jersey, by replacing Rhapsody of the Seas with Vision of the Seas. Royal Caribbean had announced in April that Rhapsody of the Seas would be based in the New York City area with Anthem of the Seas, but all of these previously announced Rhapsody of the Seas sailings have been canceled. From May 20, 2017 through the end of October, Rhapsody will offer a variety of exciting 7-night round trip sailings from Venice, Italy. At the conclusion of the Mediterranean season, Rhapsody will return to Tampa, Florida as planned and begin sailings on November 19, 2017. On August 22, Vision of the Seas will offer a 16-night Transatlantic sailing from Copenhagen, Denmark to Cape Liberty, New Jersey with several calls in Denmark, Norway, Scotland and Iceland. On September 7, Vision will offer a 13-night open jaw sailing from Cape Liberty, New Jersey to Quebec City, Canada. 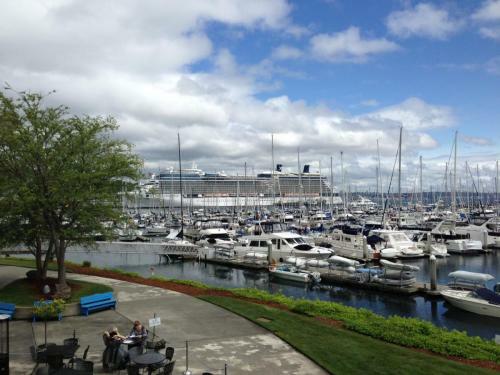 The sailings departing from Cape Liberty on September 20, October 1, and October 11 will replace the previously planned sailings offered on Rhapsody and include calls in Boston, Massachusetts, as well as multiple ports in Maine and Nova Scotia. Vision’s current fall Europe itineraries, including those departing from Venice, Italy from August 22, 2017 through November 17, 2017 will be canceled. To accommodate guests booked on the affected sailings, Royal Caribbean will provide vacationers with a full refund of their cruise fare, the opportunity to re-book on another Royal Caribbean ship as well as an onboard credit to use during the newly booked sailing. In addition, vacationers who purchased airfare through Royal Caribbean will receive a full refund. Guests purchasing their own airfare will be given a refund for their airline change fee. All refund transactions will be automatically processed back to the original form of payment within four to six weeks. Commissions for travel agents will be protected for all cruises that are fully paid. Guests requesting more information are asked to contact Royal Caribbean International’s customer service team at 1-800-256-6649 or their travel agent. 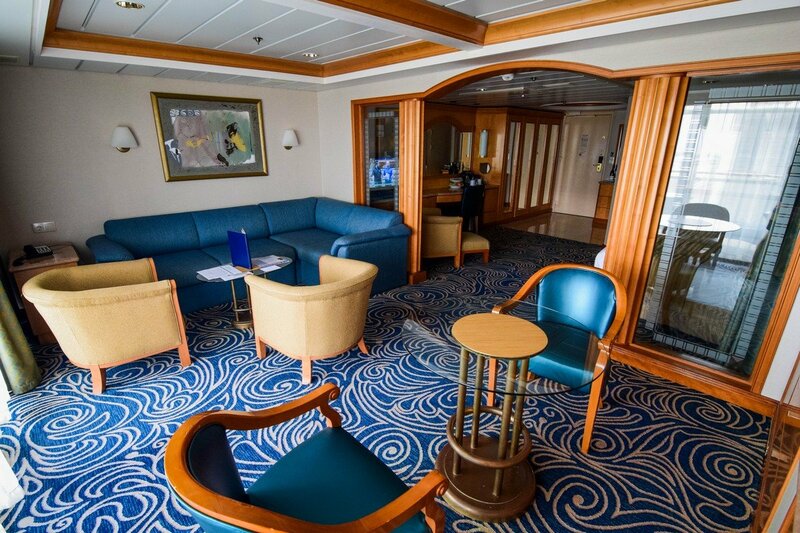 Royal Caribbean has added two more of its vessels to its schedule of ships to receive refurbishments in 2016. 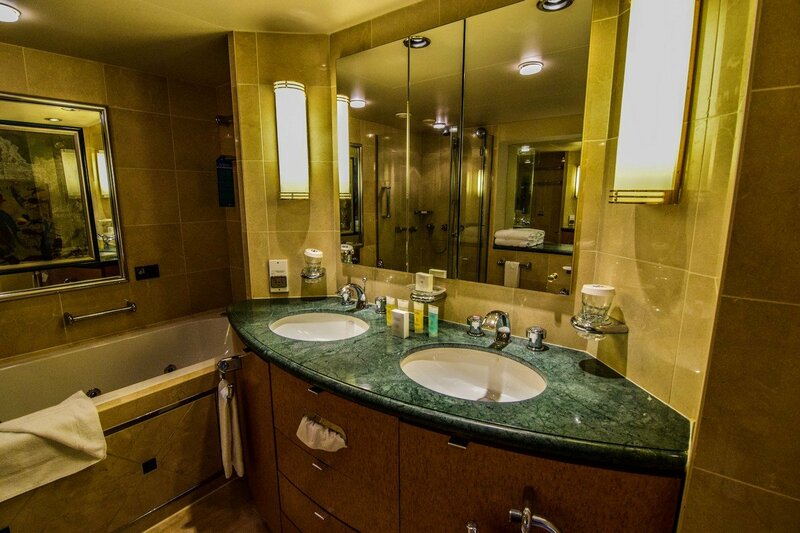 Radiance of the Seas and Rhapsody of the Seas are now appearing on the 2016 refurbishment schedule. There is no word yet on what changes are coming to either ship. Royal Caribbean just wrapped up its Liberty of the Seas refurbishment and has a busy year ahead with changes coming to the ships. A tropical depression in the South Pacific has forced Royal Caribbean to change the itinerary of two of its cruise ships. Cruise Critic is reporting that Rhapsody of the Seas and Voyager of the Seas will both skip a scheduled stop in Fiji to evade the path of the storm. 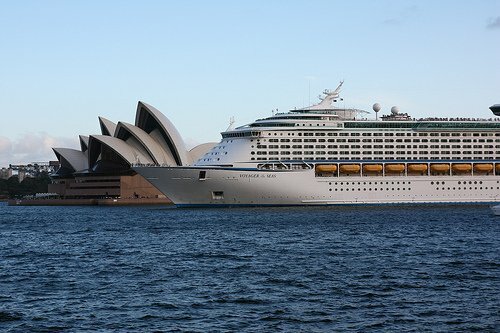 "Voyager of the Seas is on an 11-night cruise and departed Sydney on 5 March. Rather than sailing further towards Fiji, the ship is now taking a course towards Australia and will spend two nights in Hobart, before returning to Sydney as scheduled on 15 March," the cruise line said in a statement on Monday morning. 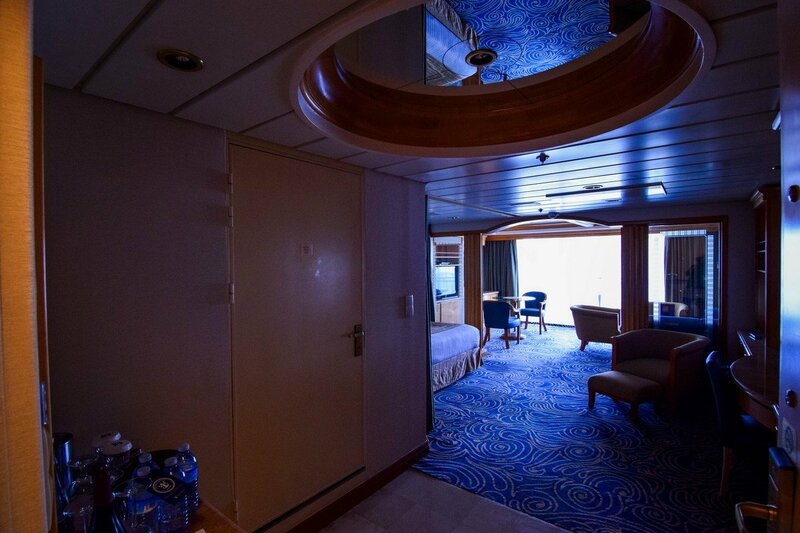 "Rhapsody of the Seas is on a 12-night cruise and departed Sydney on 8 March. 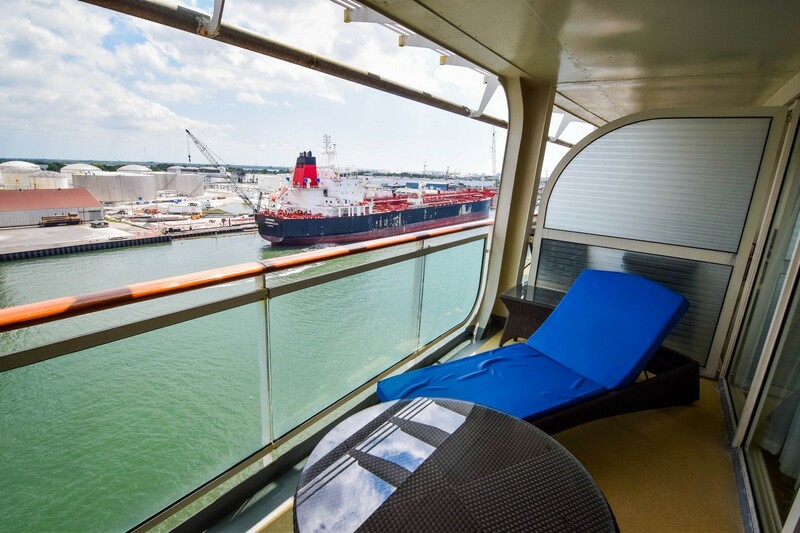 As this ship departed only yesterday, it has been possible to make adjustments to its itinerary to keep the South Pacific flavour of the cruise, with six port calls planned in Vanuatu and New Caledonia." Further itinerary changes are possible if the storm's anticipated path changes. Earlier this year Royal Caribbean announced Rhapsody of the Seas was to sail to the Black Sea in summer 2015 but Royal Caribbean is now changing those plans. Royal Caribbean will instead be offering Rhapsody of the Seas sailing an Aegean Sea itinerary, calling on a variety of ports throughout Greece and Turkey. Rhapsody of the Seas will now offer a 9-night Eastern Mediterannean cruises out of Istanbul along with a 7-night Greece and Turkey itinerary out of Rome. In addition, there will be 7, 8, 9 and 10-night Greek isles cruises from Rome. Sister ship Splendour of the Seas is also sailing a similar itinerary during the Summer 2015 season. Previously the ship was to visit ports in Russia and the Ukraine along the Black Sea. It's assumed the change in plans is a result of the political unrest in that area. Rhapsody of the Seas arrived in Seattle to begin her 2014 Alaska cruise season. Our blog readers Tom & Diane Trudnowski sent us photos of Rhapsody's arrival. Royal Caribbean will send Explorer of the Seas to Australia for the 2015-2016 cruise season to compliment sister ship Voyager of the Seas. Explorer of the Seas will replace Rhapsody of the Seas, which has been a fixture in Australia since 2007. Explorer of the Seas, a Voyager class cruise ship, was previously announced to be going to Europe for April through September 2015 and will begin offering cruises in Australia starting in November 2015. Royal Caribbean made the announcement in an email sent to members of its Crown & Anchor loyalty program. Radiance of the Seas will also return to the region again for the 2015-16 season, the newsletter reveals. 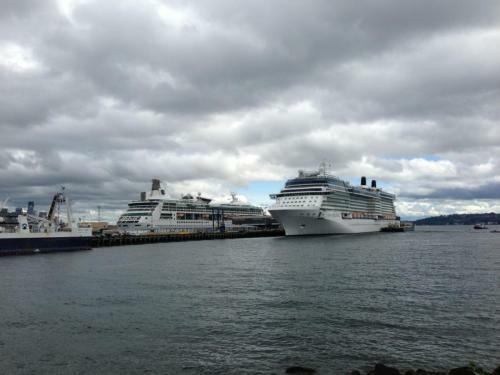 For Rhapsody of the Seas, 2014/2015 will be its last season down under. Royal Caribbean’s Australasian itineraries for 2015/16 will go on sale at the end of the month. Rhapsody of the Seas and Splendour of the Seas offer cruises in summer 2015 to Greece, Turkey and – for the first time for Royal Caribbean – Black Sea itineraries. 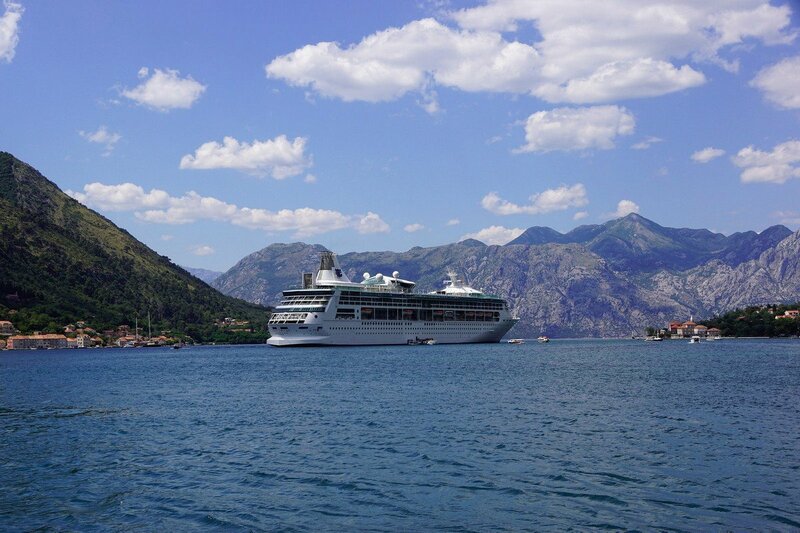 Rhapsody of the Seas and Splendour of the Seas’ summer 2015 Europe seasons also are now open for bookings. 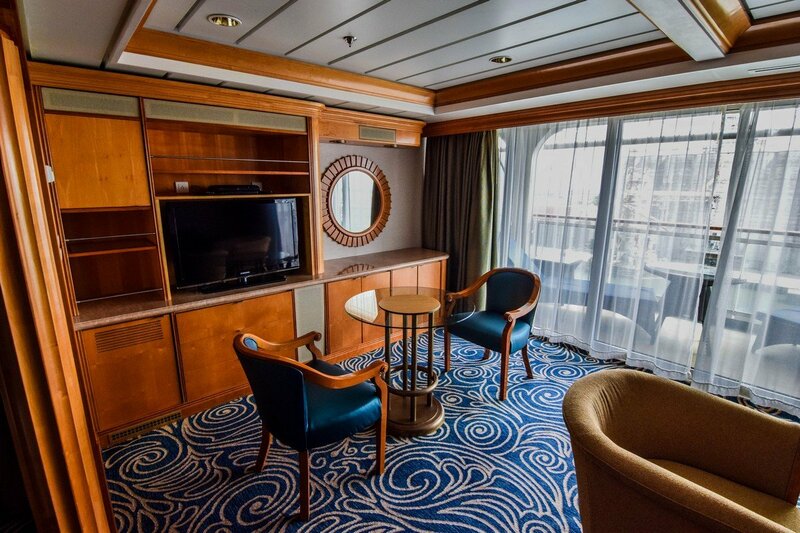 In June 2015, Rhapsody of the Seas will mark Royal Caribbean’s first time in the Black Sea, offering passengers three round-trip sailings, 10- and 11-night in duration, from Istanbul, Turkey. 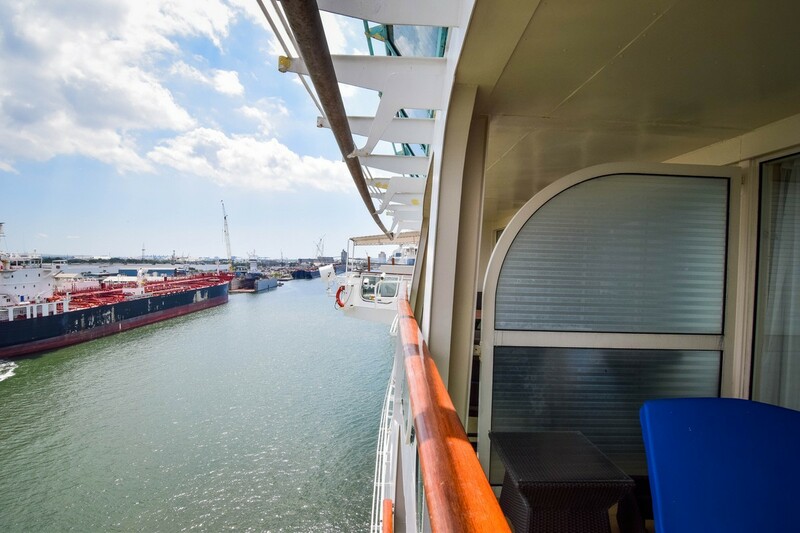 Guests will join the ship in making maiden port calls at Burgas, Bulgaria; Odessa, Yalta and Sevastapol, Ukraine; and Sochi, Russia, with overnight stays in Odessa, Sochi and Istanbul. Rhapsody of the Seas’ arrival at Istanbul will be preceded by a series of sailings that will reposition the ship from Sydney, Australia, to the Black Sea on Apr. 17, 2015. The ship will sail Australia’s north coast to Singapore; follow the Indian sub-continental coast to Dubai; and transit the Suez Canal into the Mediterranean to arrive for the summer season on June 1. 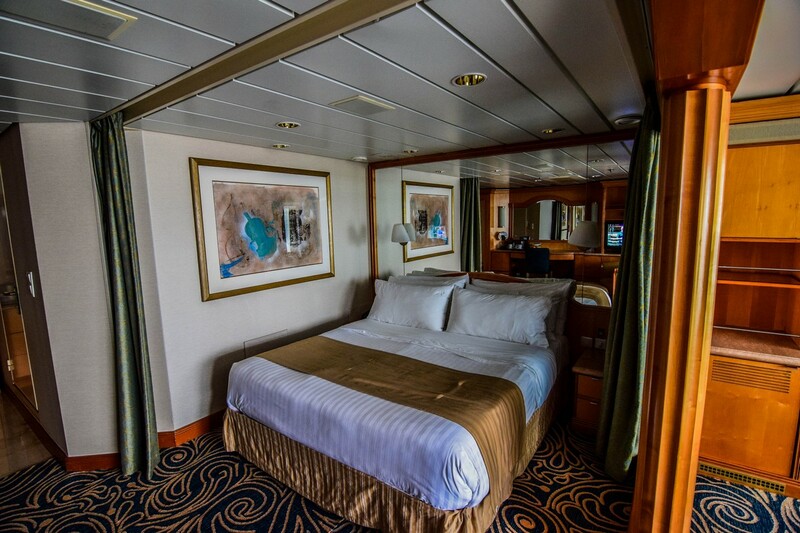 From July to mid-November, Rhapsody of the Seas will homeport at Rome (Civitavecchia), Italy, and sail seven- to 11-night Greece and Turkey itineraries. The seven- and nine-night itineraries focus on smaller ports such as Katakolon, Thessaloniki, Mykonos, and Santorini in Greece; and Bodrum, Turkey. Rhapsody of the Seas will then reposition to Sao Paolo, Brazil, for the winter season on a Royal Caribbean trans-Atlantic Ocean Voyage, departing from Barcelona, Spain, on Nov. 19. Rounding out Royal Caribbean’s summer 2015 Europe season, Splendour of the Seas will return to homeport at Venice, Italy, for the 10th consecutive summer season, and sail seven-night Adriatic and Greek Isles round-trip itineraries for an extended season through November. A special 12-night itinerary from Barcelona to Venice will kick off the season and sail on May 4 to the French and Italian rivieras as well as Dubrovnik and Split, Croatia. 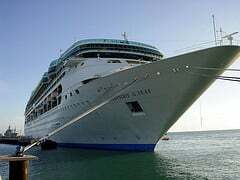 A passenger fell overboard while on Royal Caribbean's Rhapsody of the Seas cruise and in the subsequent search, the body was found. The Sydney Morning Herald reports that the Australian Maritime Safety Authority, the incident occured at 2:00am on Saturday. Evidently Rhapsody of the Seas was about 300 nautical miles east of Brisbane when the man was seen falling from the ship. At that time, the ship immediately turned around and life rings and marker smoke were deployed. Rescue boats were deployed to find the person. 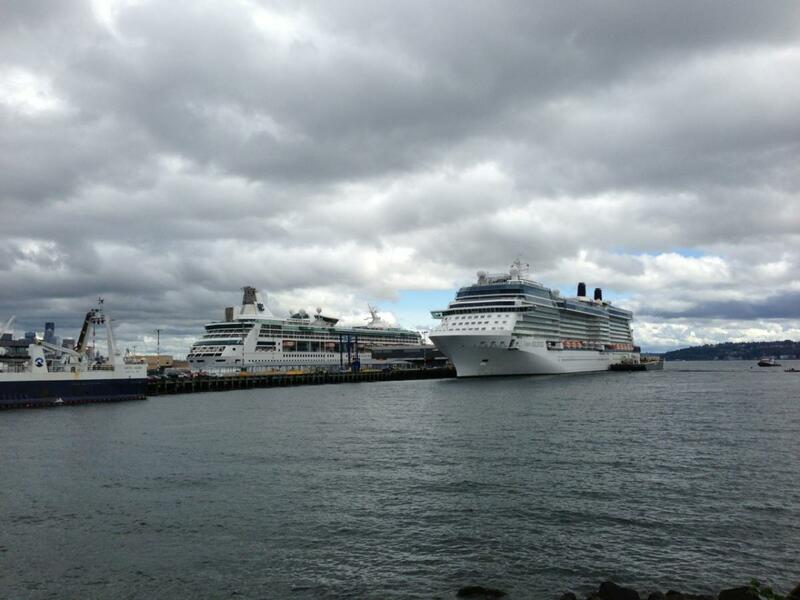 Rhapsody of the Seas was on a nine-night cruise of the south Pacific. 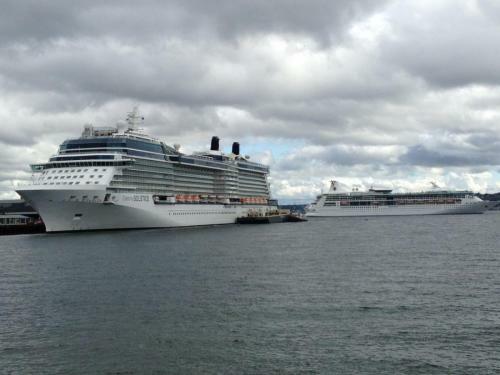 A spokeswoman for Royal Caribbean said in a written statement another passenger had witnessed the man go overboard. The incident was also captured on the ship's CCTV system, she said. "The ship's captain immediately stopped the ship, turned around, and alerted the local authorities including the Australian Maritime Safety Authority," the spokeswoman said. "...With the assistance of the Search and Rescue aircraft, the Rhapsody of the Seas was able to locate the guest however regretfully the guest was found to be deceased at the time. 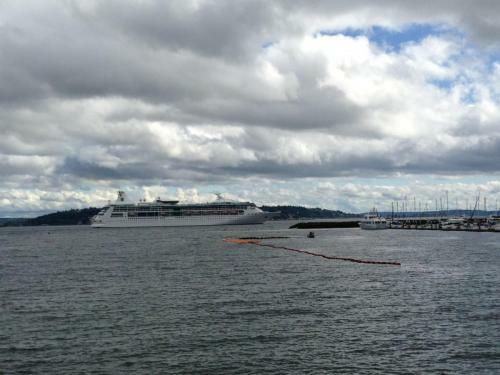 "The body of the deceased has been recovered on board the Rhapsody of the Seas. "Royal Caribbean’s care team is providing support to the guest’s family and travelling companions and our thoughts and prayers are with them.